It’s unbelievable how much beauty and skincare products women and even men are applying on their skin these days! Though the Euromonitor International has estimated that each person spends roughly US$ 64 per year on such products, in the US, it’s likely that Americans are spending so much more. One anti-aging product alone that lasts you for a month can easily cost US$ 150 or more. How to hide dark under eyes? Step 1: Give your entire face a sheer and even toned overall complexion. Use a BB cream to easily give you that concealing power. Step 2: Use a concealer to cancel out the uneven skin tone of your under eyes. If you have darker pigment with bluish or purplish tone, use a pink or salmon concealer to even out the color. If you don’t have one, get your red, satin finish, non-glittery lipstick. Dot it around your eyes then spread evenly where you see darker skin. If you have a lighter pigment, match it with your natural skin tone using a yellow concealer. Use a concealer brush for this step to better integrate the products with your skin. Step 3: Use a highlighter around your eyes. This trick brightens the overall look of your eyes and gives your under eyes an instant lift. Step 4: Set your makeup. Don’t let the product seep in or slip out of place. You may use your broad brush to set a transluscent powder on your makeup. Products that contain skin whitening ingredients like glutathione, kojic acid, licorice extract and papaya extract can all very well leave your eye skin with a fairer complexion. Of course you can always go for natural alternatives. Try mixing the juice of lemon, which has natural astringent properties, with honey on at least a 1:2 ratio. See visible results in as short as two weeks from the first day of use, depending on the product of your choosing. If you want more visible and natural results that last, make an eye cream a regular part of your daytime and nighttime skincare regimen. Most eye creams will be similarly formulated with your wrinkle care cream but, the best ones will contain much higher concentrations. Peptides, amino acids and Vitamin C, which are all found in Nova Derm Eye Cream, along with antioxidants and retinols are some of the best ingredients to have in your eye care products. If you have an entire day or full night to prep your eyes, use an eye mask. Combine this with your skin lightening cream and eye cream for a triple moisture and brightening boost for skin under your eyes. Wake up to plumper, better moisturized and brighter skin under your eyes with an eye mask. 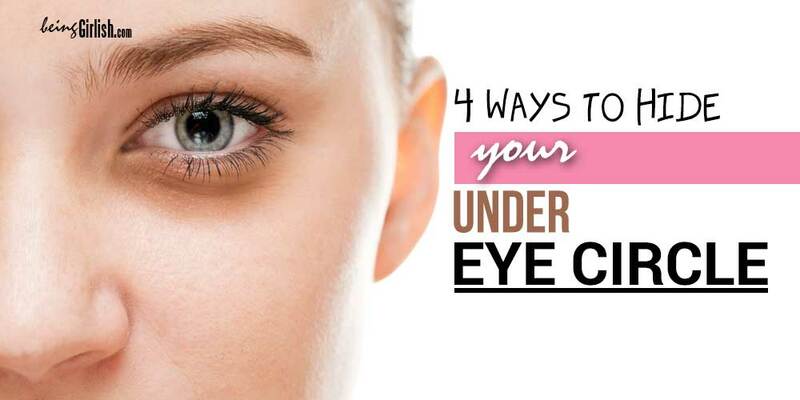 These four ways to hide your dark under eyes are all practically foolproof. With the right timing, application and products, you cannot possibly ever go wrong when it comes to kicking out your puffy, dark under eyes — for now or for good!